ATMs– There will be a number of ATMs inside the festival grounds. Children – This is a 21+ event with a limited allotment of 18+ tickets available. We do not have a license for children accompanied by their parents. Food and Drinks – We will have concessions of every kind, but no outside food may be brought into the location, including bottled water. 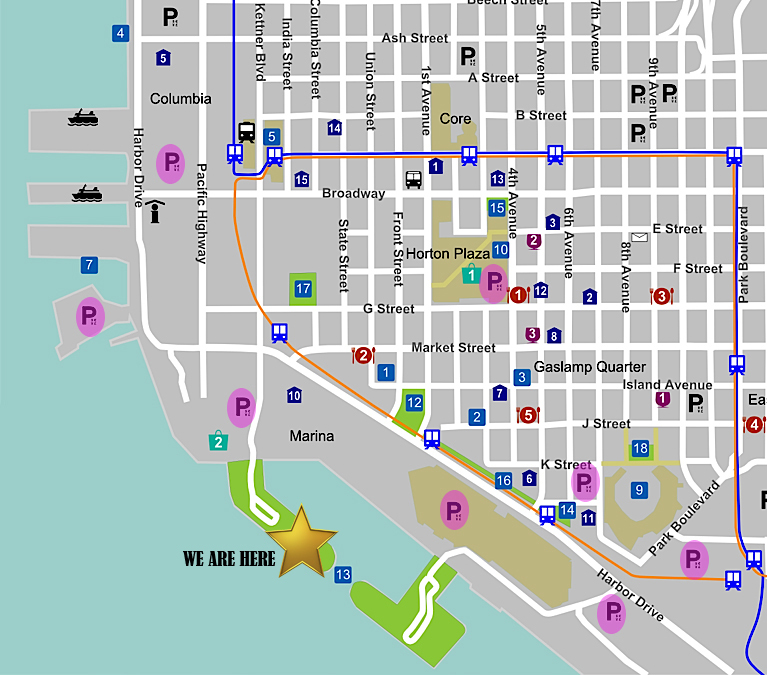 How To Get There – we are at 400 Kettner Blvd on the bay just past seaport village. Please don’t drive here, take the trolley or a shared ride. Lineup – Lineup and set times are subject to change without notice. Lost and Found – Onsite, the Lost & Found Booth can be found just inside the Front Gate. You can go there to report a missing item and see if we’ve found your missing item. We work hard to reunite folks with their stuff. If you don’t find your item before the festival is over, you can email us at: ( [email protected]) to report your missing item. Rain or Shine – Festival will happen RAIN or SHINE. Come prepared! Refund Policy – All ticket sales are final. No refunds or exchanges will be provided. In the case of a cancellation, all tickets will be valid at the rescheduled date. Refunds will be issued if a rescheduled date does not take place within 180 days. Ticket Issues – if you are having ticket related trouble with your order (e.g. Can’t find order confirmation, having trouble ordering, a question about charges, etc.) click here for support information for TicketWeb. our box office on site will be able to accommodate normal day of shows issues like ticket reprints and phone tickets that won’t scan. Bicycles can be brought to the park provided locking structures which will be located at our box office. (bikes & skateboards are not allowed inside the festival grounds). NO drones or aircraft. We are within yards of the North Island Air Station and Lindberg Airport and it is HIGHLY illegal to fly a drone in this space. PLEASE NOTE: Any items that are deemed dangerous may not be admitted into the venue. This is at the discretion of Festival Security.